5% online discount and free delivery! 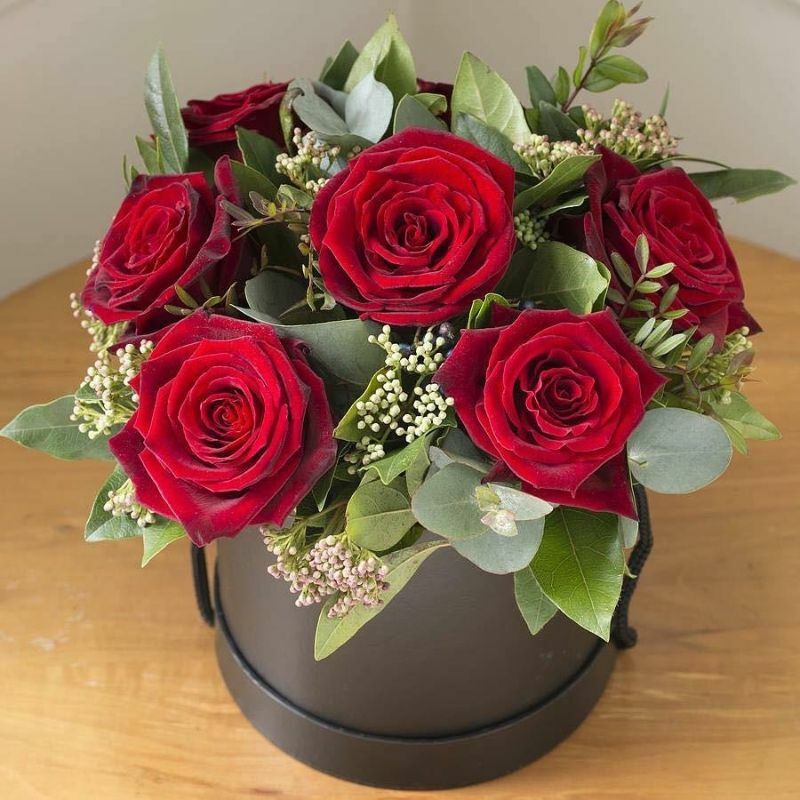 A stunning hatbox comprising beautiful red roses together with foliage and berries or gyp. With a romantic gift message card. Beware of cheap imitations!!! - the real deal, large luxury roses not supermarket small cheap roses. What a wonderful way to show your love. Free Delivery and 5% online discount. A stunning hatbox comprising beautiful red roses together with a romantic gift message card. Beware of cheap imitations!!! A lovely gift for Valentines day, Anniversary, Birthdays or just to express your love! Container may differ from that shown. 5% online discount. FREE delivery throughout most of Essex.